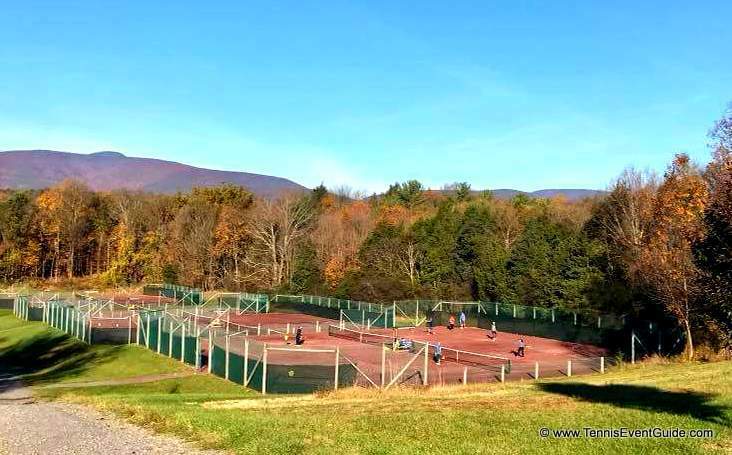 This Total Tennis Review (Saugerties, New York) covers what I fondly call my Home Away from Home. As a native New York City girl, this is my most prized escape from the city and I’ve enjoyed myself here at least a dozen times. Much like the US Open, Total Tennis is every New York tennis fan’s dream, although people from all over the world come to enjoy themselves. 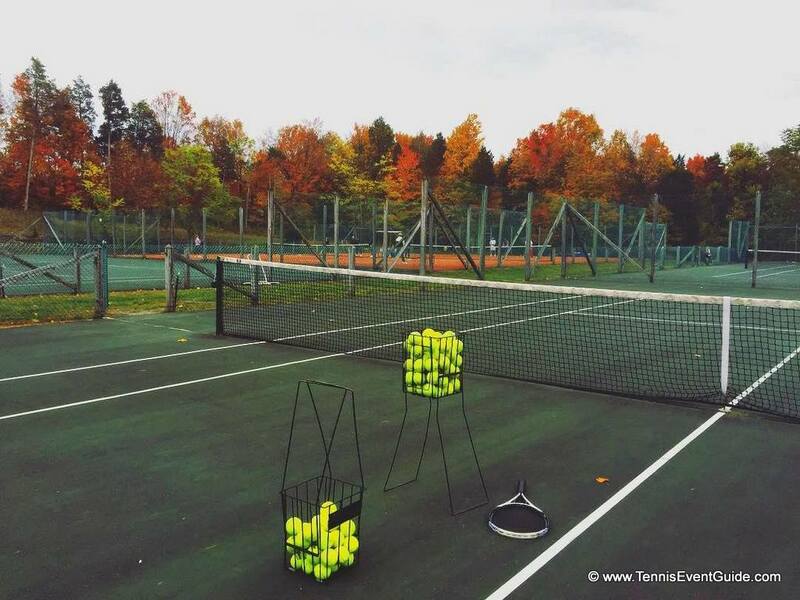 Total Tennis is a rustic, all-year camp designed 100% towards maximum tennis. The food is amazing and healthy, the pros are great and it’s just 90 minutes north of NYC. If you want to immerse yourself in 5+ hours of tennis a day, eat an amazing 3 included meals and hang out with tons of other NYC tennis enthusiasts, you can’t lose with Total Tennis. A typical day at Total Tennis starts with breakfast, followed by a short intro on the courts, where Ed, the owner of TT, discusses different playing levels (how long can you rally, do you have topspin, what’s your serve percentage?) and how you should separate yourself into groups. Campers are then grouped 4 to a pro and the playing starts. The morning session is 8:45-11:30, which includes a 15 minute break. There’s water and Gatorade near every single tennis court and you are given a water bottle upon arrival with your name on it. During the first hour, Ed will come around to ensure everyone is in an appropriate group. Don’t be concerned or take it personally if you move groups. It’s no big deal. You’ll do all kinds of drills, make friends and most importantly, hit tons of balls and get great tips. Before the lunch break, the pro will go over the times available for your included 30 minute private lesson. One before lunch, one after the afternoon session, one the next morning before breakfast and the last of 4 before lunch the second day of play. 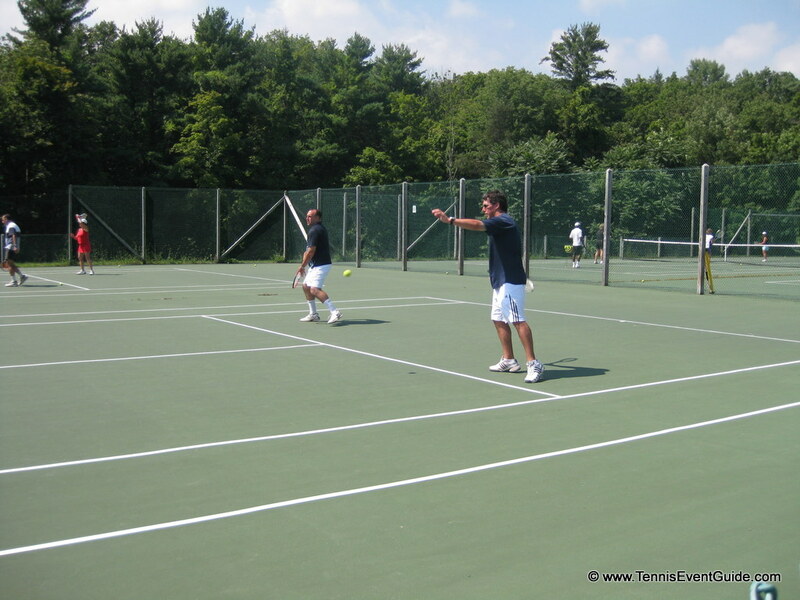 Tennis Event Guide Tip #1: Ask for the first private lesson!!! Jump right on it when the pro asks and don’t be shy (everyone else will be). Get to work with your pro one on one, and get coaching on whatever you want – forehand, backhand, serve. Then you have the maximum time to practice what you’ve learned with more coaching from your pro!!! Makes sense, right? Except everyone is too shy to ask for that first lesson. In the afternoon, there are another 2.5 hours of drills, then usually a Round Robin one of the weekend days and then you have a few hours before the wine and cheese party and dinner. There is also the option of the private lesson I mentioned right after the afternoon session – but good luck trying that after 5 hours of tennis! People usually hang out by the pool, the hot tub, nap and generally chill and enjoy the gorgeous grounds. Total Tennis is an all year round adult tennis camp with indoor hard courts in the winter and rain, and a mix of clay and hard courts the rest of the year. They recently resurfaced their courts to US Open blue and have a brand new look for the demos. There are also 2 nice and new paddle courts. While most of the courts are great, it’s the scenery that makes Total Tennis so unique and different than a beach resort tennis vacation (not that I don’t love those as well!). Everyone loves the food at Total Tennis. Dan, the head chef is THE man when it comes to preparing fresh, healthy, delicious and nutritious meals. Breakfast is your standard eggs, pancakes and meat choices. Lunch is always several protein and vegetable choices, along with a fresh salad bar, mostly locally grown, and some sort of cookies or brownies, which you will definitely feel like you’ve earned. Dinner offers the same salad bar, complimented by multiple proteins and veggies, usually some sort of prime rib and the pièce de résistance – tennis racket pasta, always a hit. On the weekends, Saturday night will always start with a complimentary Wine and Cheese hour prior to dinner and end with the Barn Dance Party, complete with ping pong (wait til you see the tennis pros play! ), pool, bar with drinks and tunes playing til close to midnight, not that anyone makes it that long, by live DJs, Goldie & Eric, who will entertain you with everything from current pop to oldies.